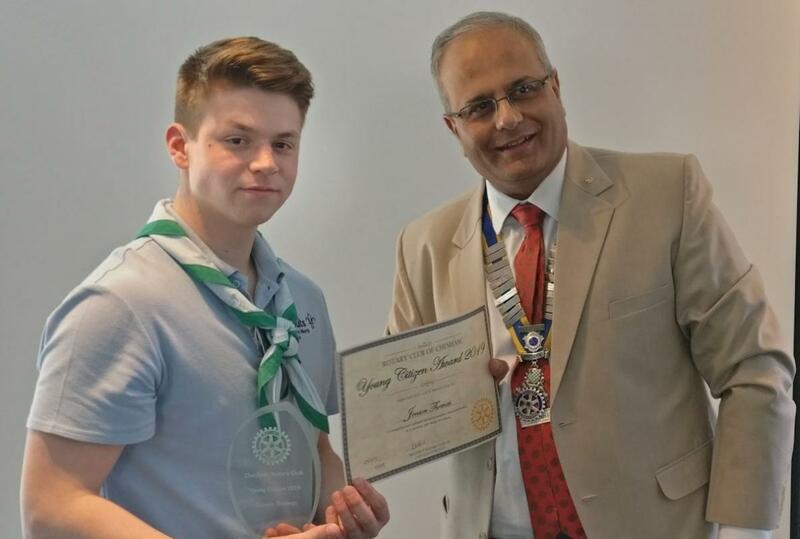 After several years of not awarding a ‘Young Citizen’ title, we decided this year to renew the award as a stand alone title rather than as part of the national Rotary scheme. By contacting schools and organisations with strong contacts within younger people we received from them a number of nominations for the title. 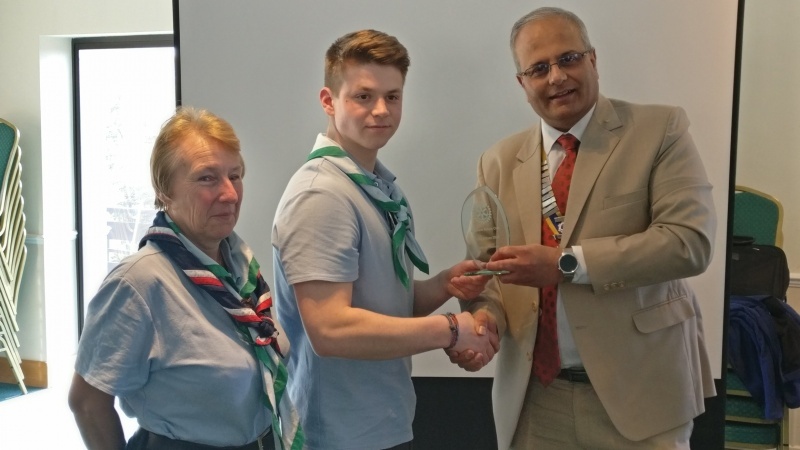 The winner was Jenson Thomas, (pictured here with President Kalpesh), receiving the award. 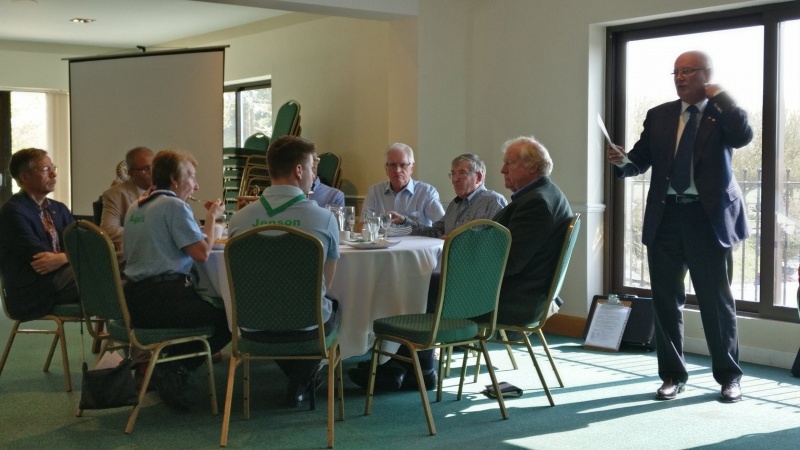 Jenson has a very strong commitment to the local community and has undertaken this by working within the Scouting community. His enthusiasm and organisational skills have encouraged others to success. 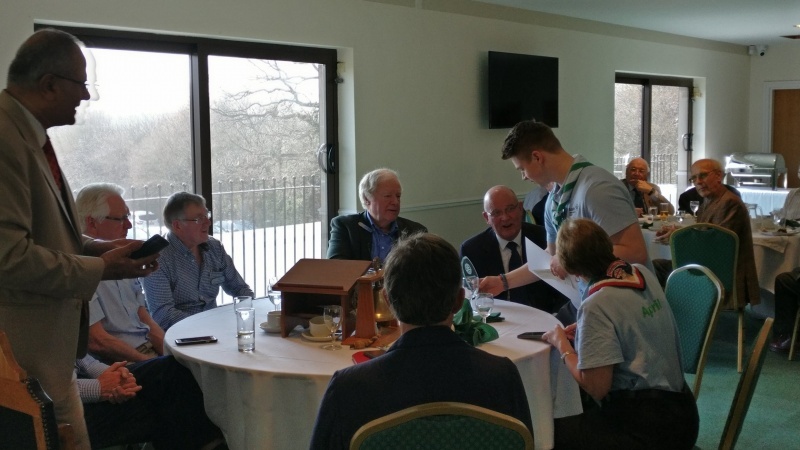 The award was made in the belief that he was giving to his peers and those younger than him an example of how working with others and in teams can lead to successes and a great sense of fulfilment. Congratulation Jenson!